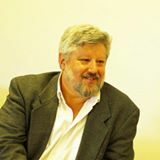 Gershon Baskin is the founder of IPCRI – Israel/Palestine Center for Research and Information, and served as its co-director until January 2012. He is a long-time veteran of both Israeli peace NGOs and second track diplomacy between Israel and the Palestinians, and has many key contacts on both sides. This gives him a particularly well-informed grasp of current events. Baskin is a member of the steering committee of the Israeli Palestinian Peace NGO Forum, a member of the Board of Directors of ALLMEP – the Alliance for Middle East Peace, a member of the Israeli Board of One Voice Movement, and a member of the editorial committee of the Palestine Israel Journal. Baskin holds a Ph.D. in International relations from the University of Greenwich. All of this makes his insight into how to resolve issues particularly valuable. As this week of escalated violence in Israel and the West Bank came to a close, Baskin posted some of his thoughts to his Facebook page. The Foundation for Middle East Peace reprints them here with his permission.